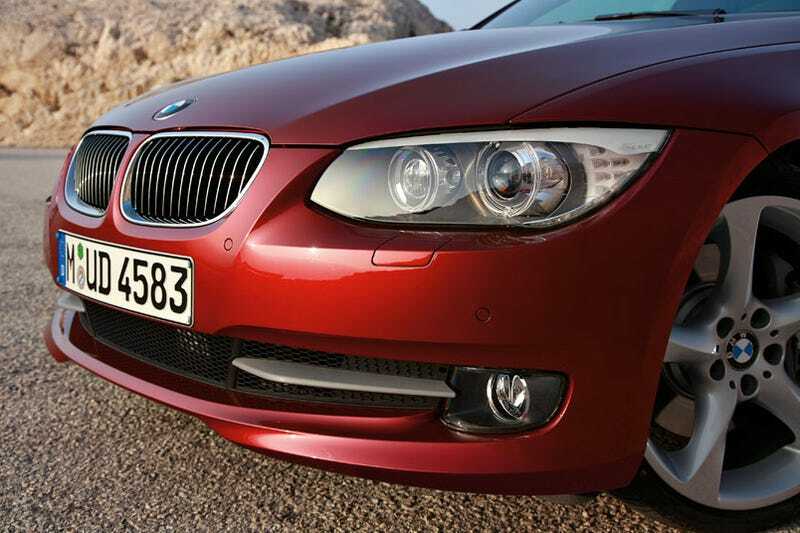 After all the hype here's the 2011 BMW 3-Series, featuring the same wide-eyed treatment seen on the 2011 5-Series and sporting the new N55 turbo inline-six pumping out 300 HP and 300 lb-ft of torque. You might be thinking to yourself this is the same overall power and displacement as the previous inline-six found in the 335i. You're right. Look deeper and the only significant difference on paper is the torque curve is slightly better with peak twist kicking in at 1200 RPM, thanks in part to the addition of the Bimmer version of variable valve timing/control. The real difference? BMW has dropped the twin-turbo setup in favor of a single, twin-scroll turbo. No talk yet of the more exciting IS model yet so we hope you enjoy the new snout and other minor creases added to the coupe to give it cleaner, sleeker proportions.